Weston Products Meat Grinders are heavy duty machines built for home meat processing. A meat grinder is the ultimate tool among home butcher supplies - Process your own deer, wild game, and other meats for sausage making, burgers, and more! This versatile electric grinder doubles as a sausage stuffer and features a compact design for easy storage. 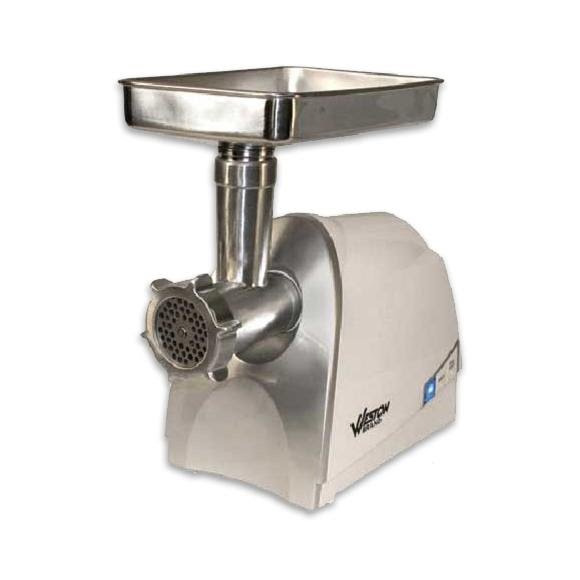 Weston Products Meat Grinders are heavy duty machines built for home meat processing. A meat grinder is the ultimate tool among home butcher supplies - Process your own deer, wild game, and other meats for sausage making, burgers, and more! This versatile electric grinder doubles as a sausage stuffer and features a compact design for easy storage. Its powerful 575 watt motor is ideal for grinding any wild game or domestic meat.